Chennai Rains: Rains have struck hard on Chennai. All the means of transportation blocked. People stuck in several places in the city. The Chennai airport has been shut down till Sunday noon, and all the flights to Chennai canceled. The death toll has reached around 270. Chennai has been flooded with water as it rained 34 cm yesterday. Apart from air service, road transport has also blocked as the roads filled with water. The city has come to a halt. There is poor mobile networks service. 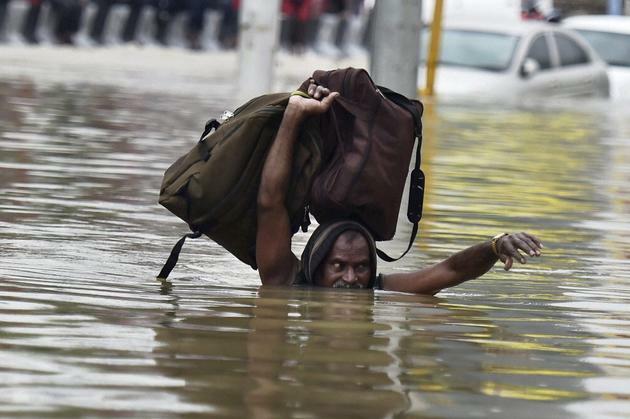 Chennai residents cannot even call anymore in case they need any help. Employees are either shifted to other cities or are doing work from home. Many parts of Chennai, especially the flood affected parts have no electricity supply. Also, no drinking water supply is available to them. Due to the low food supply, the cost for 1-liter milk has gone up to Rs. 100 and many daily needs or essential items are not available because shops are not open. The city is desperate; people and stranded either in their homes or their offices, Food, and water, are in short supply. Thousands of people at low line area are particularly at risk, and major roads are unusable. In these hours of the emergency, many people and organizations have come forward to help the Chennai folks. Some people are offering free recharge to the people struck so that they can contact for help. Also, people are ordering from online food suppliers in Chennai. Not only ordinary people, but transportation companies like, Ola and Zoom Car are also doing their best to help the individuals in need. Ola has put boats so that the people can get out of the flood affected areas. Zoom Car has decided that their cars will serve as an ambulance so that the needy can get help. Paytm, an online recharge company has offered a helpline number 18001030033 through which the residents of Chennai can get an instant recharge of Rs. 30. Many NGOs are doing their best to help the people. As of now, the rain stopped from the last couple of hours due to which the water level has been gone down a little bit but still the next 48 hours are critical for Chennai. Ten days ago in Chennai the areas like Tambaram and Velachery, all the outlined areas were flooded, and people marooned, but now the heart of Chennai is experiencing flood water places like Kotturpuram, Saidapet is under the deluge, and several people are on the roof top. 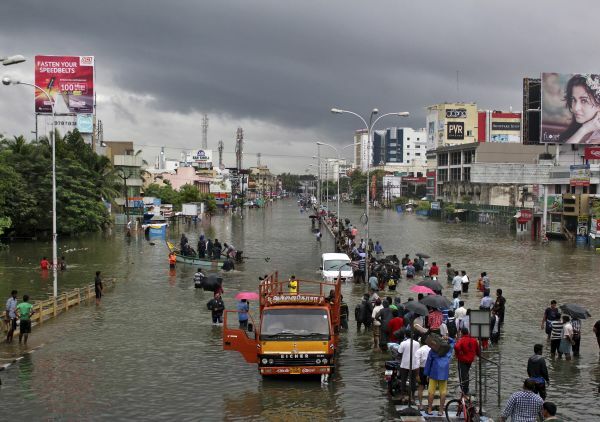 Tamilnadu Chief Minister Jayalalithaa will conduct an aerial survey of the flood-affected parts of Chennai by herself. According to some climate experts, this is the natural climatic of un-proportional phenomena as it is happening after 100 years, so a part of this is natural phenomena and the climate change induces another part because of the erratic monsoon and untimely rains floods. Our prayers are with the people struck in Chennai floods.